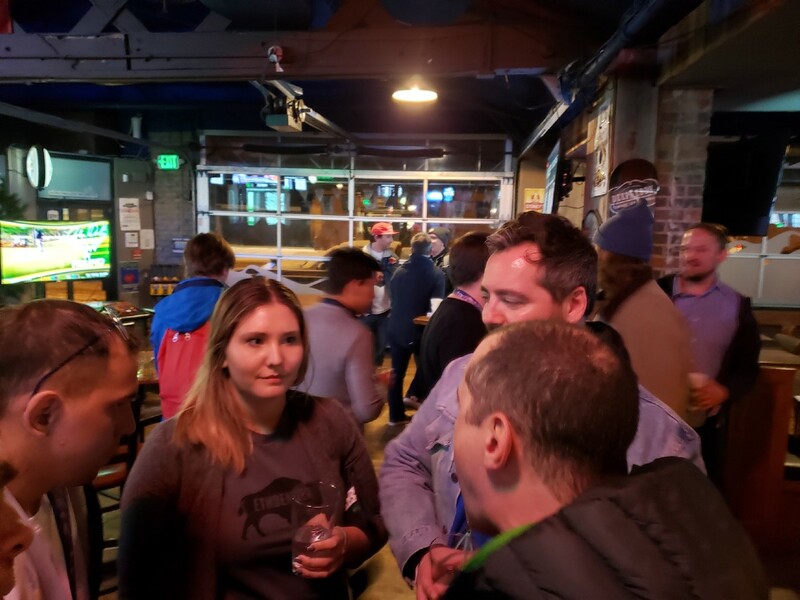 After the closing ceremonies of ETHDenver, the folks with leftover BuffiDai in their Burner Wallets had one more opportunity to spend it at MakerDAO’s BuffiDai & xDai Dappy Hour at Stoney’s Bar and Grill. Ching! was there and helped slake the thirst of dozens of BuffiDai hodlers! Wait, what’s “Cypherpunk Speakeasy?” In this case the term refers to a meetup where crypto enthusiasts gather to test out new ways to buy drinks with cryptocurrency. 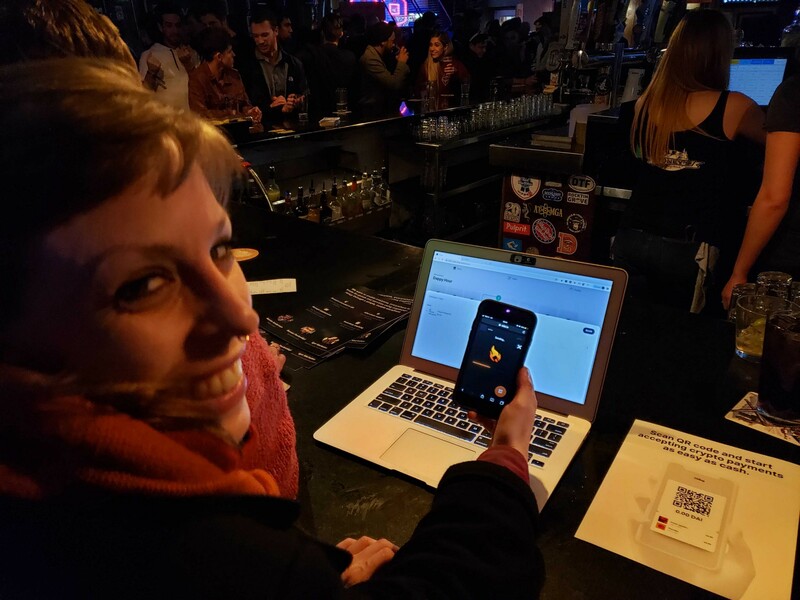 The Burner Wallet that everyone was using to trade ETHDenver’s native token, BuffiDai, was first put through its paces in a series of Cypherpunk Speakeasies starting in December. The feedback from those events allowed the Burner Wallet team to refine their technology to the point where they were able to facilitate the trade of almost $40,000 in food sales during the hackathon. Burner Wallet is a tool designed to get xDai (fast DAI) into the hands of customers. It abstracts away the overhead of the Ethereum Virtual Machine (EVM) so that people can hold and spend a fast version of DAI in their mobile browser of choice. By contrast, Ching! is a tool designed to make it easy for vendors to sell items in exchange for DAI and xDai. Like Burner Wallet, Ching! hides that EVM overhead until the vendor decides to opt into it. It also has features that assist in order fulfillment, inventory management, and sales reporting. This Dappy Hour was Ching!’s first Cypherpunk Speakeasy and in the course of two hours it took in 63 BuffiDai and fulfilled 26 drink orders. Burner Wallet used paper menus with QR codes for individual items. Ching! presented an interactive menu where the cashier could increment and decrement order quantities. The Burner Wallet menus had an item called beer, but customers would tend to ask for a specific type of beer. When that happened, the cashier was able to enter edit mode and add a new item on the fly! 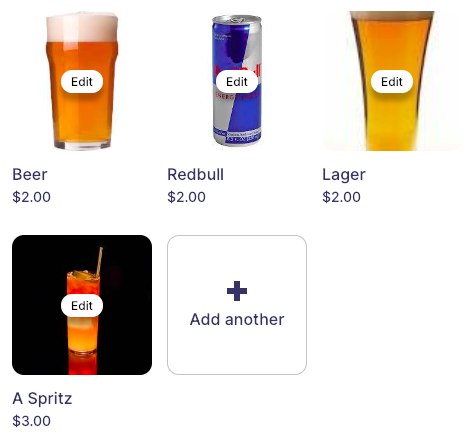 After the cashier enters edit mode and clicks on “add another”, they can quickly create a new item. 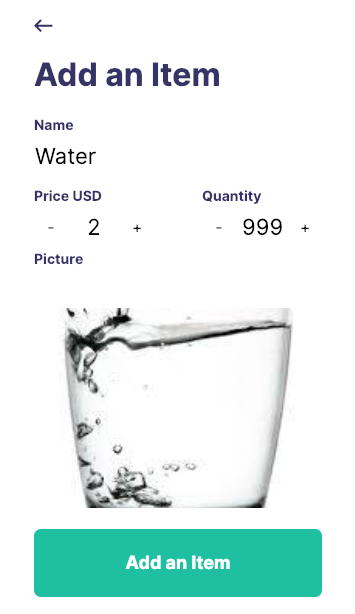 Below, the cashier adds an item called “Water”. It is selling for $2 USD and the cashier declared that 999 are in inventory. The cashier can upload a photo, or take one with their mobile device. 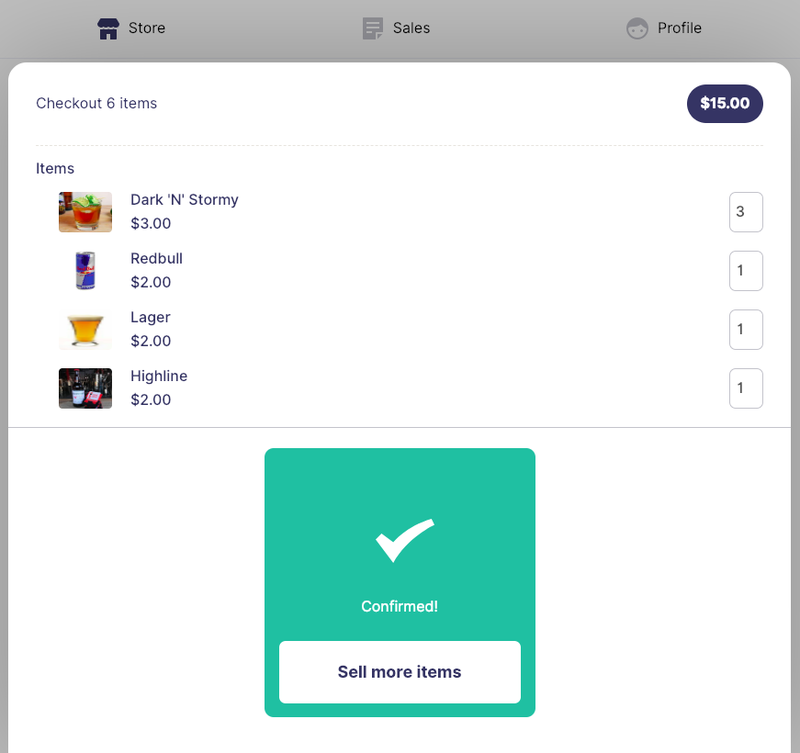 Items can be added from a mobile device and they will immediately appear on the point of sale device. With the Ching! shopping cart, we were able to handle batch orders. In one cenario, one person was able to order drinks for himself and five friends and pay the bill at one time. The shopping cart would notify the cashier when payment was received. Because we were accepting BuffiDai and xDai, we could confirm the transaction in just five seconds! The Burner Wallet team added the handling for the Ching! 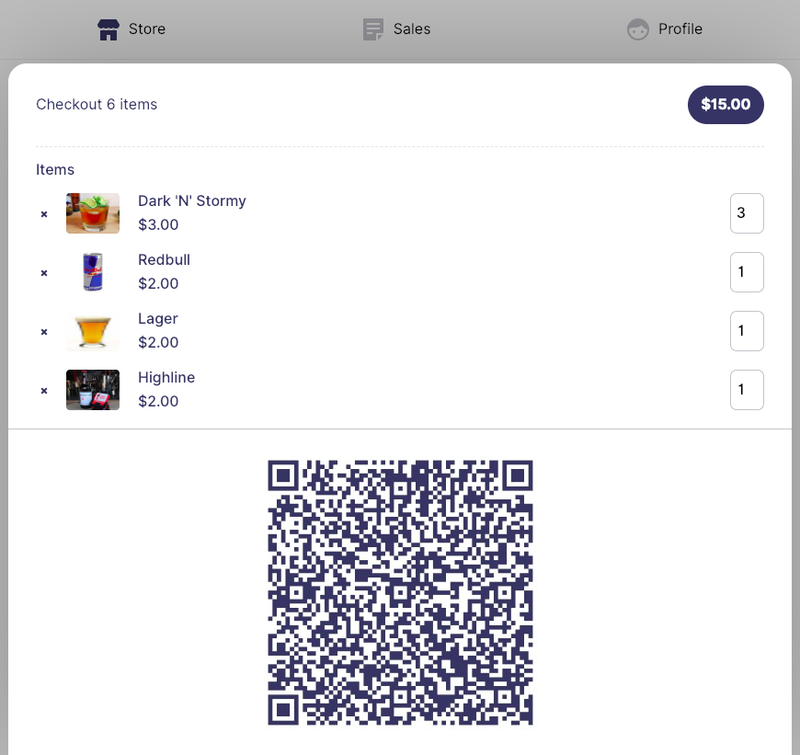 QR code interface and the resulting interaction between Burner Wallet and Ching! was seamless. At Dappy Hour, Ching! learned that our app can improve the customer experience for people who are using Burner Wallet. 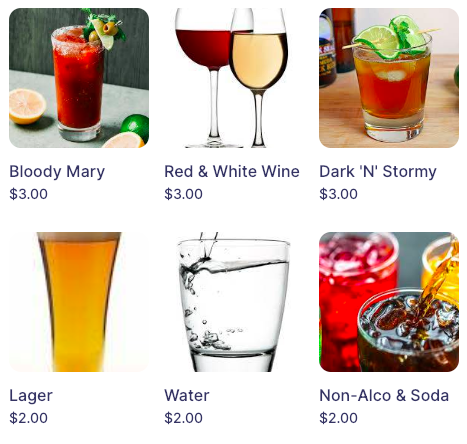 We hope that Cypherpunk Speakeasies continue to gain popularity and new people get exposed to this new way to spend their crypto. We will continue to support development of the Ching! store app and we strongly encourage speakeasy organizers to use Ching! as their Point of Sale solution. It’s very easy to onboard, just go to ching.store and click “Become a vendor”! We invite users to file issues in the github repo if the app doesn’t perform as expected. This is an open source project and we are accepting contributors. Help us buidl the future! I co-founded web3devs and Ching!. As a chain agnostic DApp developer, I create applications to increase user adoption of cryptocurrency. 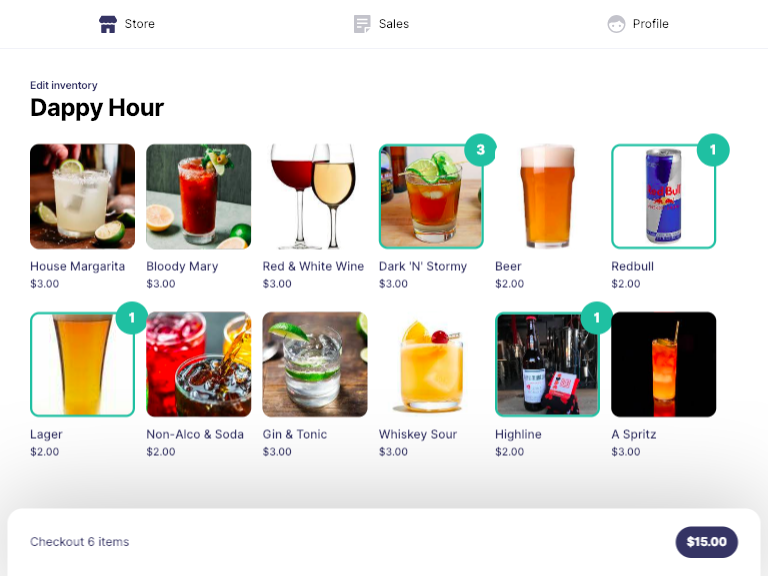 Easy, web-based point-of-sale for DAI and xDAI.